Gainesville, Florida cop joins basketball game after receiving noise complaint. 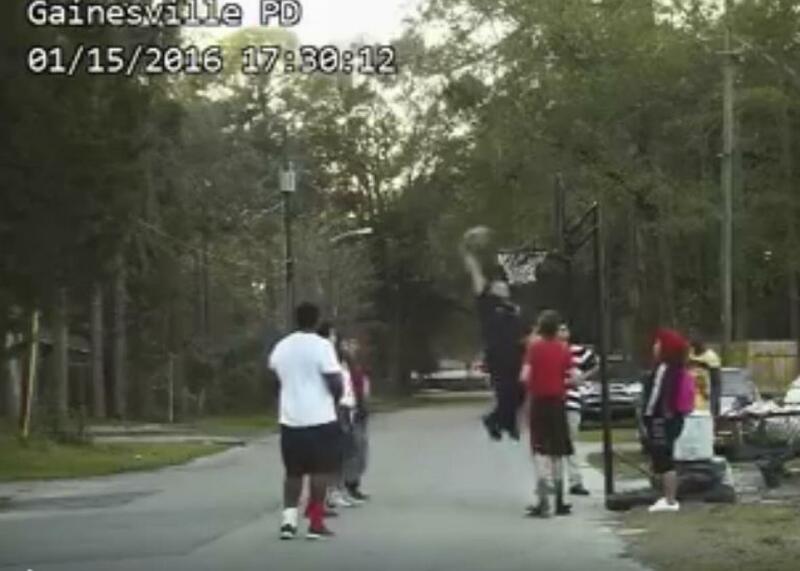 Officer Bobby White can dunk (after the rim is lowered) in this screenshot from the Jan. 15, 2016, video posted on social media by the Gainesville Police Department. A police officer in Gainesville, Florida, responding to a call from someone complaining about kids being noisy while playing basketball in the street decided to join in the fun rather than get anyone in trouble. When he arrived at the scene, Officer Bobby White goes up to a tall boy holding a basketball.